I know I said a few months ago I was back to blogging and then I disappeared again. Getting the hang of this new life is harder than I thought. There is a lot of growing and changing and shifting after a major life event. This is not something that one can anticipate, even someone who is a planner to the extreme (who!? Not me!). As much as I have struggled these past few months, I have also grown tremendously and learned I have more strength and resilience than I previously believed. I have more confidence and faith in myself. I am more reflective of my self, my thoughts, my actions. I have made some wonderful new friendships and strengthened older relationships. I am happier now than I have been in a long time. I have loved hosting dinner at my humble little apartment home. My last little dinner included spicy pork burgers with spicy cheddar and grilled shishito peppers. 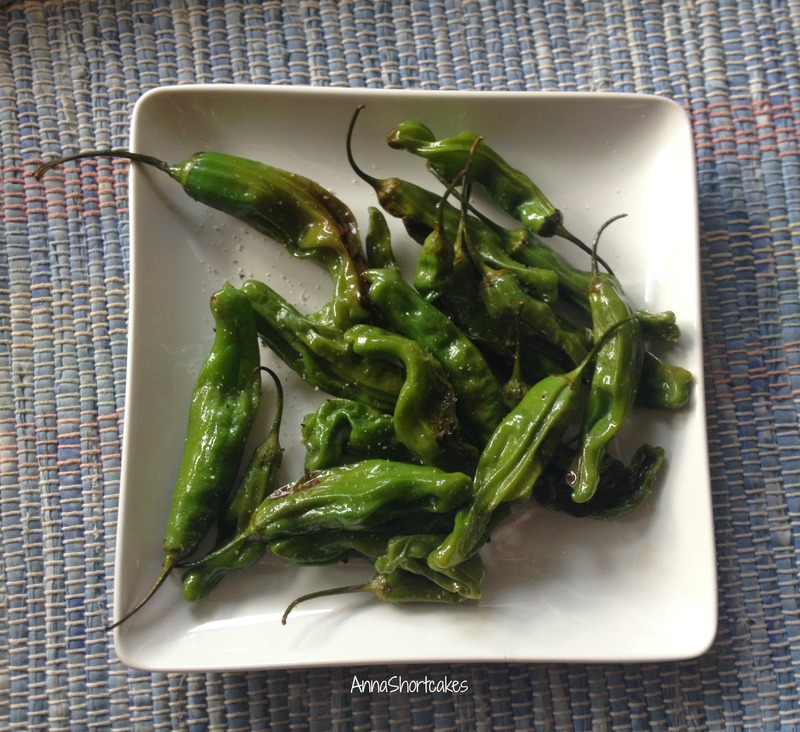 These little Japanese peppers are full of flavor without overwhelming spiciness. Trader Joe’s sells these now when in season. You can also find them at your local Asian market. Give these little babies a try…. Prepare your grill to medium heat. In a bowl, toss the peppers in enough olive oil to evenly coat. Grill for 2 to 3 minutes on each side, until the peppers change color evenly (I look for the army green color to just appear). Remove from heat and season to taste with salt and pepper. Serves 2 to 3.